Description: Scottsdale Hand and Foot Spa - Nail Salon is a business categorized under business services, nec, nec, which is part of the larger category business services. Scottsdale Hand and Foot Spa - Nail Salon is located at the address 9397 E Shea Blvd Suite 105 in Scottsdale, Arizona 85260. 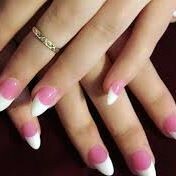 The Owner is Collin who can be contacted at (480)614-4435.
Review: Scottsdale Hand and Foot Spa – Nail Salon is a premium nail salon as well as nail bar, a perfect spot for those who believe that your hands and feet (nails) need to look beautiful too. We have state-of-the-art pedicure spas, where your comfort as well as hygiene is treated as the top priority. With us, you can indulge yourself in the affluent treatments of manicures, pedicures, waxing and what not. We offer a place to pamper you and make you feel relaxed and stress free. All of our outlets maintain highest level of hygiene with the help of numerous tools including a medical grade autoclave sterilizer. Location & access map for "Scottsdale Hand and Foot Spa - Nail Salon"